This hospitality manager cover letter sample leads off with Ben’s outstanding diplomas and certifications and highlights his over 15 years of related hands-on expertise. Immediately following, the reader is made aware of the various careers he has held in the hospitality industry, and how they are applicable to the position Ben is applying for. As you know there are many core competencies that are required in the industry. Immediately following, the reader is made aware of the various careers he has held in the hospitality industry, and how they are applicable to the position Ben is applying for. As you know there are many core competencies that are required in the restaurant/hospitality industry. Make sure you incorporate the competencies that are applicable to your expertise and relevant to your target position. Don’t underestimate the importance of including industry and job position keywords in your cover letter and resume. If your job search documents are scanned by the applicant tracking system and they don’t include the correct terminology the resume won’t get the human eye. 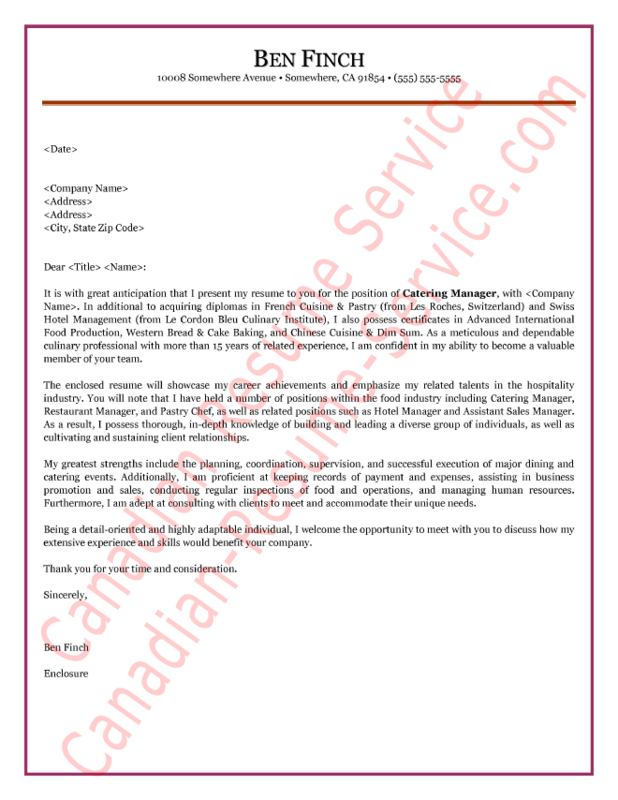 View the hospitality manager cover letter sample below. I hope you found this hospitality manager resume sample valuable. You can go back to our cover letter samples page.